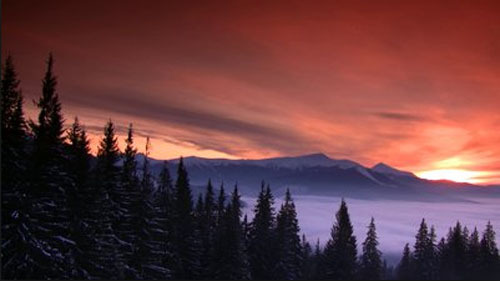 Hawks soar around the snow-covered peaks, while bears and Lynx take refuge in the dense forests below. Medieval villages and the ruins of once-proud castles can abruptly materialize through the mist, as if daring outsiders to enter and uncover their dark secrets. In 1897, Bram Stoker wrote his gothic horror story, Dracula. The story was based on documents the novelist discovered during his research at the British Museum about a 15th century Transylvanian prince, known as Vlad the Impaler. Vlad the Impaler was the inspiration for the iconic horror monster, Count Dracula. The novel tells the story of how Count Dracula, a blood drinking vampire, travels from Transylvania to England, and his battle with Abraham Van Helsing. 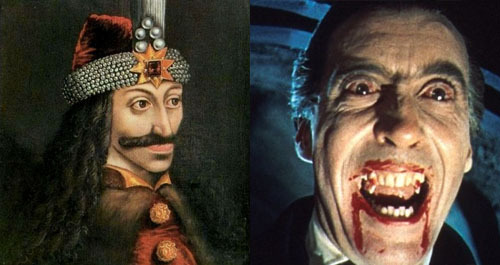 However, Vlad the Impaler did not resemble the character of Dracula that we think of today. His real name was Vlad III but became known as Vlad Tepes, The literal translation of the name ‘Tepes’ means Impaler. He was the Prince of Wallachia, a region of modern day Romania. He was a member of the House of Drăculești, a branch of the House of Basarab. Vlad’s father was called "Dracul," meaning "dragon" or "devil" in Romanian because he belonged to the Order of the Dragon, which fought the Muslim Ottoman Empire during the 15th century. "Dracula" means "son of Dracul" in Romanian. Scholars believe the connection to the devil was the beginning of the legend that Dracula was a vampire. Having lived from 1431 to 1476, the Transylvania Prince was known as a defender of the Christian faith, a Romanian hero but also, a subhuman monster. 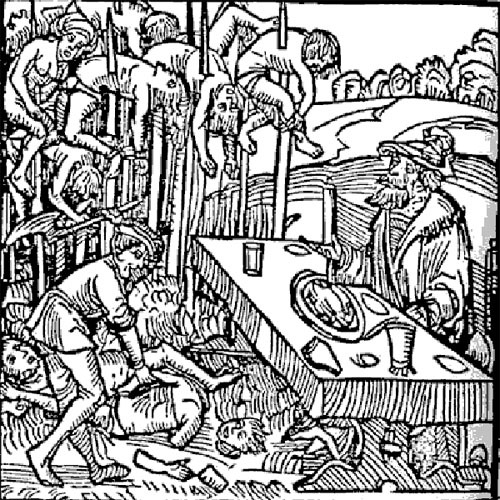 Vlad the Impaler was known for his cruelty and propensity to impale anyone who got in his way. Vlad and his brother Radu had spent much of their early lives in a Turkish prison, and when they were released, Vlad discovered that his father had been betrayed by his people and buried alive by Hungarian troops. It is during this time as a captive that Vlad is thought to have formed his bloodthirsty tendencies. Vlad returned to Wallachia to be crowned at the Princely Court in Targoviste in 1448. Here the real Dracula sought retribution for his captivity and wanted to avenge his father’s death. Dracula knew that many of the noblemen that had served under his father were involved in his betrayal; but since he didn’t know specifically which ones, he invited all of them, about five hundred people in total, to a feast at his castle. Once the feast was finished, Dracula’s soldiers rushed into the room and impaled every single nobleman present. Word of Dracula’s merciless cruelty spread throughout Europe. The real-life Dracula might not have sucked blood out of his victims’ necks, but he still drank it in a different way. The fifteenth century manuscript The Story of a Bloodthirsty Madman Called Dracula of Wallachia, by Michel Beheim, describes how Dracula continued to use this tactic of inviting guests to his castle, provide them with a feast, and then have them immediately impaled right there at the dinner table. With the bodies still draped over the stakes, he would leisurely finish his own dinner and then dip his bread into the blood collecting below the bodies. Eventually people knew what it meant to be invited to one of Dracula’s feasts, but they showed up anyway, because if they refused, they’d be killed on the spot. Dracula's favourite method of torture was to impale people by slowly driving blunt stakes through their abdomens, and leave them to writhe in agony, often for days. As a warning to others, the bodies would remain on stakes as vultures and blackbirds nibbled the rotting flesh. Dracula used the impaling technique to scare his enemies, to enforce the laws, and to eliminate complaints. It is said that he would wander among the common people in disguise and test the honesty of the merchants by tempting them with overcompensation. In the 1400s, the region of Wallachia was under constant threat of invasion from its neighbors, the Turks. Dracula sent his army out to push the Turks out of his land. Eventually though, the Turks forced Dracula into a retreat. However did not give up easily. As he retreated, he burned down his own villages along the way so that the Turkish army would have nowhere to rest. He even went so far as poisoning his own wells and murdering thousands of his own villagers, just so that the incoming Turkish army wouldn’t have the satisfaction. As the Turkish army advanced, Dracula retreated into the nearby mountains. He started impaling villagers and captured Turkish soldiers as he went. Dracula was reported to have eaten a meal on a table set up outside amidst the impaled victims. When the Turkish army reached the region, its advance was halted when the sultan arrived and witnessed the infamous ‘Forest of the Impaled’. He found some 20,000 victims impaled on stakes. He was horrified by the cruelty of the scene before him and could not bear the stench from the decaying corpses. The Turkish army proceeded to retreat, fearing what fate would be waiting for them if they continued and caught up with Dracula. It’s easy to think of Dracula as a solitary madman, but many of his murders were his own twisted form of law and order. However, impalement was usually the only punishment, whether you stole a loaf of bread or committed murder. There were exceptions of course. One account describes a gypsy who stole something while traveling through Dracula’s lands. Dracula had the man boiled alive, and then forced the other gypsies to eat him. In an attempt to clean up the streets of the city of Tirgoviste, Dracula once invited all the sick, vagrants, and beggars over to his castle, under the pretext of a feast. After they had eaten their fill, Dracula politely excused himself and had the entire court boarded up, and then burned the whole building to the ground while everybody was still inside. According to reports, not a single person survived. One result of all the killing was that Dracula had complete control over his people. To prove how much his citizens feared him, Dracula placed a cup made out of solid gold in the middle of the town square of Tirgoviste. The rule was that anybody could drink out of it, but it could not leave the square under any circumstances. It’s believed that during this time about 60,000 people lived in the town, yet during his entire reign, the priceless cup was never touched, even though it was in full view of thousands of people living in poverty. Historians put the number of deaths at the hands of Dracula in the region of 100,000 people, making him one of the worst mass murderers in history. However, Dracula finally died on the battlefield fighting a later invasion by the Turks in 1476. His reputation finally caught up with him in a bad way, his army was outnumbered by Turks, so most of his soldiers just switched sides after seeing that the impalement ratio in the other army was significantly lower. His head was chopped off, possibly by his own troops and the head was then sent to the Turkish Sultan, who impaled it on a spear and hung it outside his palace. Reports state that Dracula’s body was then buried at a cemetery in the Snagov Monastery, outside Bucharest. But there are conflicting reports; some that his body has never actually been found there, while others say that his possible remains were indeed found, but then taken by grave robbers, as it was likely Dracula would have been buried with treasure, making his grave a valuable target. And then there is one final theory about why his body was never found; because he was Dracula, an undead vampire, doomed to walk the Earth for eternity, drinking the blood of the living.